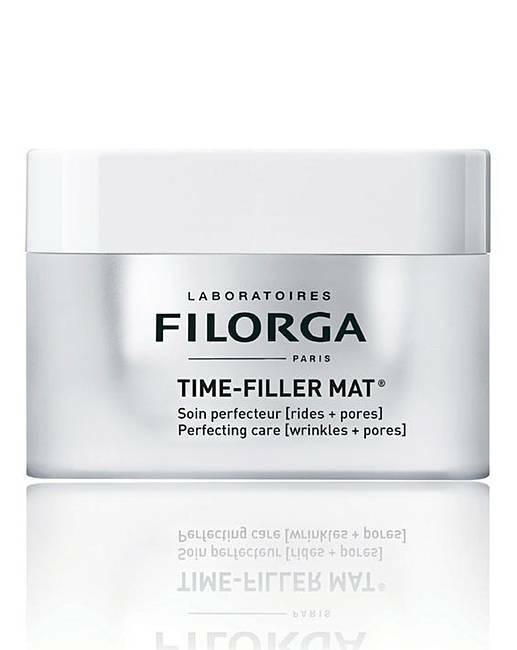 This wrinkle correction cream by Filorga has a cream gel texture made from a powerful formula to halve the depth of wrinkles, reduces pore size and shine in just 2 months. It includes a tripeptide to relax the features without freezing facial expressions reducing the look of contraction wrinkles. A powerful collagen boosting peptide combined with encapsulated hyaluronic acid is included to visibly plump deep wrinkles. Micro cracks are smoothed by a peeling-effect active ingredient and a plant extract that captures water is included to sustainably reduce dehydration lines.The Time Filler Matte also includes an astringent active ingredient to reduce pore size combined with zinc for a long-lasting matte effect. How to apply: Apply each morning on the neck and face. Massage in with the fingertips using light dabbing movements.